Is your dog constantly performing an at-home dumpster dive for some less than appetizing snacks? Lest you think you have the weirdest dog around, fear not, for you are not alone. Eating tissues and all sorts of other non-food items is a fairly common condition called pica. 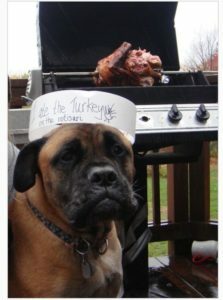 Let’s look at why your dog does this and how you can curb this distasteful appetite. If your puppy is eating tissues or anything else she can wrap her muzzle around, it’s likely that she is simply satisfying her curiosity. Just like their human counterparts, juvenile canines learn about the world through their mouths. Biting, shredding, pawing, and eating tissues is funand comes with the bonus of teaching her new information about this place called home. Puppies aren’t the only ones who like to party, though! Adult dogs gotta get their kicks and when bored or feeling anxious in your absence, they will find something to pass the time. Tissues and toilet paper are readily available and may even activate your dog’s ancestral hunting instinct. Expert contributor to the Canine Corner blog on Psychology Today, Stanley Coren made an interesting observationabout the behavior. 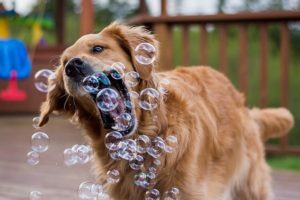 He said that when dogs put tissue in their mouth it feels like feathers or fur and, therefore, activates the dog’s innate urge to rip, tear, and even eat the material. Let’s face it, dogs do things that are pretty gross to us humans. Digging in the trash to eat tissues that are covered with your snot is pretty high up there on the gross continuum. Why do they enjoy this stomach-turning snack? It might be because they love you. They love you so muchthat they literally want to eat you up. A dog’s sense of smell is insanely keen. They smell you in your used tissues, dirty underwear, and socks and because of this, they often consume them in a statement of ultimate rapture. It’s commonly thought that pica is connected to a gap in nutrition that the dog is attempting to fill and the scientific community agrees. A case study published in 2017 states that this habit of eating non-food material is often caused by a mineral deficiency. There are a staggering number of options available when it comes to dog food and it’s hard to know if you are making the best choice. If your dog seems to always be on the hunt for more, it could be that his diet is lacking in some key vitamins and minerals. Strange as it seems, rocks, dirt, paper products, wood and more are sought after in search of nutrients. If you’ve ruled out other causes for your dog’s abnormal eating habits, it is possible that there is an underlying medical condition contributing to the problem. Conditions like diabetes, thyroid disease, internal parasites, and hormonal imbalances are all thought to be associated with pica. If you suspect this to be the case with your pet, your vet can help. Blood work, stool samples, and a physical exam can help rule out or diagnose a problem that could be the root cause of this behavior. Should I Worry About My Dog Eating Tissues? Strictly speaking, eating anynon-food item is less than ideal for your pup’s health but you don’t need to rush to the emergency vet with the ingestion of a single tissue. If she mostly plays with tissues rather than eating them outright, you probably have nothing to worry about. Volume and size are key to the concern factor here. Tissues are thin, soft, and will pretty much disintegrate with enough liquid. In small amounts, your pup will probably just pass these pieces through her body. However, a more varied palette for non-food items is definitely cause for concern. The problem is that without the ability to be broken down and digested, these foreign objects can cause a gastrointestinal blockage. That means a great deal of pain followed by surgery to remove the blockage. 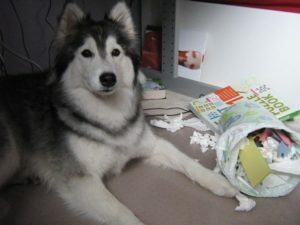 Paper products like tampons, pads, and even paper towels are big enough to really mess things up in your dog’s bowels. 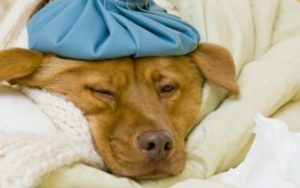 If your dog is acting sick, doesn’t want to eat, vomits repeatedly, and just doesn’t seem herself trust your gut. Get her checked out by your vet. Naturally, if you aren’t completely sure what is causing a behavior, finding a solution proves tricky. However, the good news is that there are a few common sense steps you can take to control the behavior. Make sure your dog has a variety of safe toys that combat boredom. Treat puzzles are an engaging way to keep your pup occupied. These toys can also boost your dog’s IQ. And fight boredom. 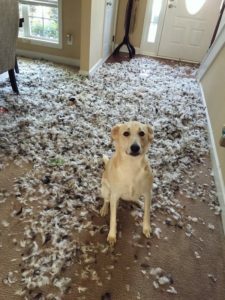 Limit your dog’s access to tissues, especially when you aren’t home. Make a habit of keeping bathroom doors closed and use trash cans with a pup-proof lid. Spend uninterrupted daily time with your pooch so they can soak you up in more healthful ways. Go for a walk, snuggle on the couch, or throw the ball around. A little bit of love goes a long way. If an imbalanced diet is to blame, consider widening the variety of food your dog eats. Eating only dry dog food is sort of like humans eating nothing but fortified breakfast cereal. CEO and Chief Editor at Web-DMV, Roger Welton saysthat dogs are omnivores and should be fed as such. Incorporating meat, bone broth, and dog-safe fruits and vegetables can help provide needed nutrients. Consider seeking medical help from your vet to rule out contributing illness or parasites. 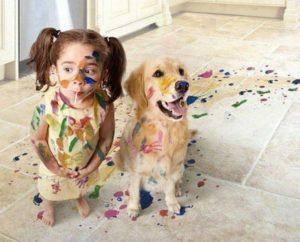 We are nothing if not entirely devoted to our fine furry friends, even when they do things that make us wrinkle our noses in disgust. If your dog has a problem eating tissues, try some of the solutions we presented here. Maybe you will succeed in helping your buddy kick the habit for good!